With a father who can’t control him and a mother who is always out of town, Timothy Freshwater has finally been expelled from the last school in the city . As if that were not enough, events conspire to ensnare him in an ancient quest. When he meets Mr. Shen, a mysterious Chinese gentleman who is a mailroom clerk at his father’s office, Timothy finds himself deeply entrenched in a rescue operation centuries in the making. 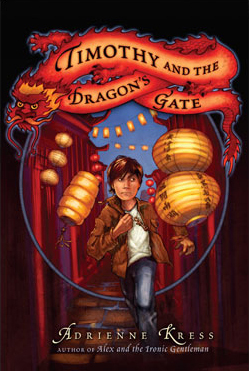 It turns out that the diminutive, elegant Mr. Shen is a dragon, banished and forced to take human shape for a thousand years until he can resume his true form by scaling the Dragon’s Gate during a festival for the 125th year of the dragon. Until that time, he is sentenced to enslavement by the holder of the golden key. It is, of course, Timothy who finds himself the latest keeper of Mr. Shen. The boy too smart for his own good is reluctant to assume the task, but tackles the challenge, after being stalked by a stealthy ninja and chased by a menacing trio of black taxicabs. When Mr. Shen falls into the wrong hands, Timothy is flailing in treacherous waters, literally. And then a strange-looking black brig with red sails, called, for some reason, the Ironic Gentleman appears on the horizon. 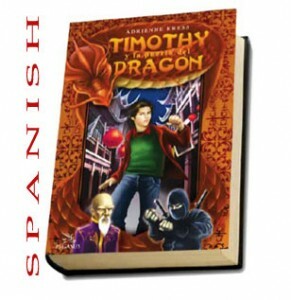 Relying on his own ingenuity and an annoying new ally, a girl called Alex, Timothy must face up to his responsibilities and rescue the dragon from a fleet of Chinese pirate junks. Above all, he must have enough faith in himself to take on that fleet’s commander, the Man in the Beige Linen Suit. 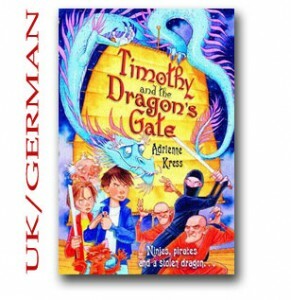 Timothy and the Dragon’s Gate is an astounding tale of excitement and daring, told in Adrienne Kress’s now distinctive, sparkling prose, with a wry humor and a poignant sweetness. Beyond the spellbinding action, the story reveals a boy who uncovers his own ability to love, and opens his heart to the world around him.